NCHA Hall of Fame Rider Lloyd Cox tied himself for the championship of the 2017 Bonanza 4-Year-Old Open on Monday, February 13, at Silverado Arena in Weatherford, Tex. Cox scored 223 points showing Copperish, owned by Jimmie Miller Smith, and 223 points on his own horse, Nothing Elz Matters, to claim the double championship; he also placed fifth with 218.5 points on Sly Reygirl, owned by Rocking L Cutting Horses. Pharoah And James, shown by Clint Allen for David and Stacie McDavid, and Crafty With Cows, ridden by R.L. Chartier for Carol Ward, scored 219 points as co-reserve champions. Copperish, bred by Double Dove Ranch out of Stylish Play Lena LTE $264,474, an all-time leading producer of earners of over $1.5 million, and by Metallic Cat, is a three- quarter sister to Smooth Talkin Style LTE $293,232, the 2105 NCHA Open Horse of the Year, also shown by Lloyd Cox. Including her Bonanza earnings of $21,725, Copperish, an open finalist with Cox in the Abilene Spectacular and Ike Hamilton Futurity, has NCHA lifetime earnings of $42,366; Nothing Elz Matters, also sired by Metallic Cat, has earnings of $36,410. Pharoah And James, sired by Hickorys Indian Pep and most recently an open and novice finalist at the Ike Hamilton Futurity, has NCHA earnings of $33,213. Crafty With Cows, by High Brow CD, third-placed in the 2016 NCHA Futurity and Reserve Champion Gelding in the 2017 Abilene Spectacular, has NCHA earnings of $162,497. In addition to Copperish, Nothing Elz Matters and Sly Reygirl, Cox also tied with 215.5 points, the seventh-highest score in the 33-horse finals, on Im Highly Decorated, sired by High Brow CD and owned by Norda and Jim Berger, and Smooth XTC, sired by Smooth As A Cat and owned by Kathleen Moore. 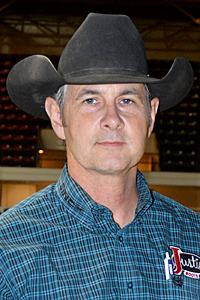 Cox, also a finalist in the Bonanza 5/6-Year-Old Open on Miss Meow, owned by Tommy Manion, has earned a total of $64,313 in 2017 Bonanza competition and is an NCHA all-time leading earner of $7.7 million.